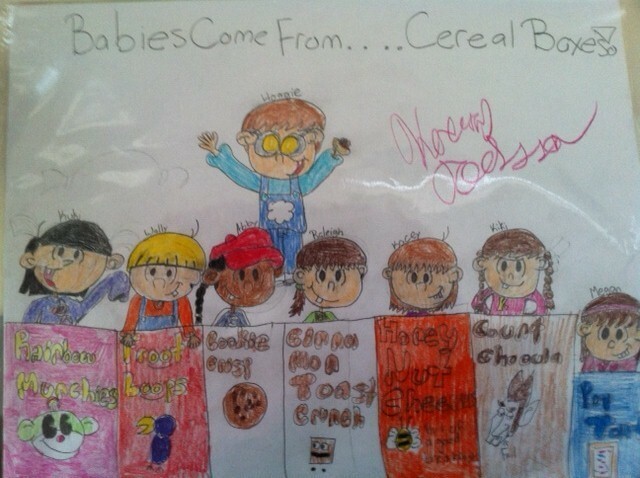 Babies Come From...Cereal Boxes!. . Wallpaper and background images in the Codename: Kids Next Door club tagged: kids next door characters sector v cartoons. This Codename: Kids Next Door fan art might contain sign, poster, text, chalkboard, hard candy, newspaper, paper, magazine, tabloid, and rag.